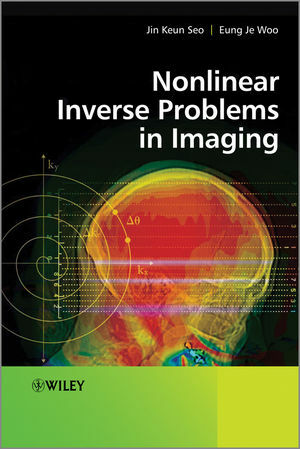 This book provides researchers and engineers in the imaging field with the skills they need to effectively deal with nonlinear inverse problems associated with different imaging modalities, including impedance imaging, optical tomography, elastography, and electrical source imaging. Focusing on numerically implementable methods, the book bridges the gap between theory and applications, helping readers tackle problems in applied mathematics and engineering. Complete, self-contained coverage includes basic concepts, models, computational methods, numerical simulations, examples, and case studies. Provides a step-by-step progressive treatment of topics for ease of understanding. Discusses the underlying physical phenomena as well as implementation details of image reconstruction algorithms as prerequisites for finding solutions to non linear inverse problems with practical significance and value. Includes end of chapter problems, case studies and examples with solutions throughout the book. Companion website will provide further examples and solutions, experimental data sets, open problems, teaching material such as PowerPoint slides and software including MATLAB m files. Professor Seo is currently Chairman of the Computational Science and Engineering Department at Yonsei University, Korea. He has worked on a wide range of interdisciplinary areas including PDE, image processing, bio-impedance, mathematical modelling, harmonic analysis, and so on. He has published over 100 research papers in scientific journals including SIAM Journal on Applied Mathematics, Inverse Problems, IEEE Transactions on Medical Imaging, IEEE Transactions on Biomedical Engineering, Physics in Medicine and Biology, Physiological Measurement, and others. He has received distinguished research awards from the Korean Mathematical Society and Yonsei University. Since 2007, he has been an editor of Journal of Inverse Problems and Imaging. Professor Woo is currently with the Department of Biomedical Engineering, College of Electronics and Information, Kyung Hee University, Korea. Since 2002, he has been the director of Impedance Imaging Research Center (IIRC), Korea. For the past 20 years, he has been teaching undergraduate and graduate courses on medical instrumentation, biomedical computing, and impedance imaging. His research interests include biomedical instrumentation and imaging. From 2004 to 2010, he has been a co-organizer of international conferences on impedance imaging and electrical bioimpedance. In 2006, he served the scientific program chair of the World Congress on Medical Physics and Biomedical Engineering (WC2006). In 2009, he served the theme co-chair of IEEE EMBC09 for biomedical imaging and image processing.